In an interview with The Seattle Times, Microsoft CEO Steve Ballmer sat down with technology reporter Janet Tu to discuss the company's future. 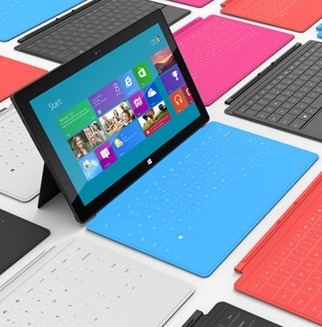 Surface, Windows 8 and Microsoft's rivalry with Google and Facebook are just a few items which were touched upon. Read the entire interview here. This year and the beginning of 2013 should prove to be an exciting span of time for Microsoft. Some of Redmond's biggest shakeups are slated to launch in the coming months, including the arrival of Surface, Windows 8, Windows Phone 8 and Office 2013. Incidentally, Microsoft has already sent out invitations for an October 25 event in NYC, where details of Windows 8 should emerge just prior to its official launch. The imminent onslaught of new milestones even prompted Ballmer to label 2012 as the software maker's "most epic year" yet. During the interview, Ballmer made it known that Windows 8 might be the biggest thing since Windows 95, praising the company for trying to "re-imagine the world from the ground up with Windows 8". He also exhibited a seemingly unflappable conviction for Windows 8, stating his firm belief that the new OS is a fantastic product and it will do great after launch. When asked if Microsoft's Surface would compete with the iPad on a price or features basis, Ballmer stated, "If you look at the bulk of the PC market, it would run between, say, probably $300 to about $700 or $800. That's the sweet spot." Admittedly, $300-$800 is a quantity which lacks precision, but there is something interesting to note: Ballmer's price range doesn't dip low enough to corroborate last month's rumor of a $200 model. Despite this, the CEO's words still indicate Surface will occupy a wide price gamut, even if Microsoft does narrowly miss the sub-$200, ultra-budget tablet niche -- an area where Amazon's $159 and $199 Kindle Fires are likely to maintain their dominance.